You may never fully comprehend the depth of my love for the women that raised me. Yeah, I said women, not woman. And that’s not to say my birth mother isn’t around or didn’t raise me. She did deliver me, and she did raise me, and she is still a very active part of my life. Trust me, she is fantastic. If you’ve met her, you know that. While, my mother did bring me into this world, she (and my father) were not the only ones who raised me. There have been so many incredible motherly influences all throughout my life. I am 100% sure God has it this way for a reason. Now, my mom didn’t really need a lot of help in bringing me up. She was a natural at it. She may think otherwise, but mom, this is where I tell you, you are wrong. You did a GREAT job. But I’m extremely thankful for the multiple moms in my life. Growing up, it was Kim G down the street, or Kim C next door. Those moms were always willing to welcome me into their homes. I was able to be friends with their kids, and those kids had positive influences on me, because of their moms. They helped raise me. At church, I had women like Donna Carole and Beth B. Two women who cared about my relationship with Jesus. Two women who pushed me and encouraged me to grow closer to Christ. Whether they know it or not, to me, they were the ones who set the standard for what a woman who pursues Jesus looks like. They helped raise me. As I got in to high school, it was women like Sharon. She invited me into her family as though I was her own son. At that point, I had two families. She raised a kid who is my best friend and will one day be the best man in my wedding. Sharon taught me a lot about unity and harmony even in what would appear to many as a broken family. She helped raise me. And now as I’ve continued my life in Raleigh, NC, I have my Raleigh moms too. Shelly, Kristin & Beth D have graciously taken me in on countless holidays where I can’t go home or moments when I just need a little bit of home or a nice home-cooked meal (instead of my usual junk I make). Even as 26 year old guy, there are moments I just need that motherly wisdom or advice. So I turn to them. These women are still helping to raise me. And through all of this, there were the women in my family. Aunt Sue, Aunt Kim, Aunt Cyndy, my grandmothers (Nanny & McMc) and of course, my mom. I watched how all of them led their families. How they balanced their careers and their happiness and their families. I watched how they embodied what loving people like Jesus is. And to this day they still do it. They helped raise me. I know it seems like I’ve mentioned a lot of women other than my mom, and yes, that is true. But I’m saving the best for last. All of my other moms, they know I love them, but they also know that they are 2nd. To my mother, you have been everything I could have ever hoped for or needed. I know there are plenty of moments you’ve felt overwhelmed, or stressed, or inadequate, but that’s all a lie from Satan. Never once have I ever been disappointed to be your son. Never once have I felt like you didn’t care. We’ve had our moments; both good and bad, but through all of it, I’ve known you’ll never leave me. Not every kid is lucky enough to say that. Of all the women I’ve had in my life, you’ve been the biggest and greatest influence. And you are my #1 fan, and I’m yours. That will never change. I love you to the moon and back. I’m so thankful that, You helped raise me. I’m seriously incredibly blessed to have all of these incredible moms. Each of them has shown me a little bit more of what it means to be a woman of God and an incredible mother. They’ve all raised the standard for what I’m looking for in my spouse. And I won’t settle for any less. And one day, Lord willing, my wife will become a mom. It will probably be the greatest day of my life. I find it ridiculous that there is only one Mother’s Day. It should be everyday. You women are heroes. 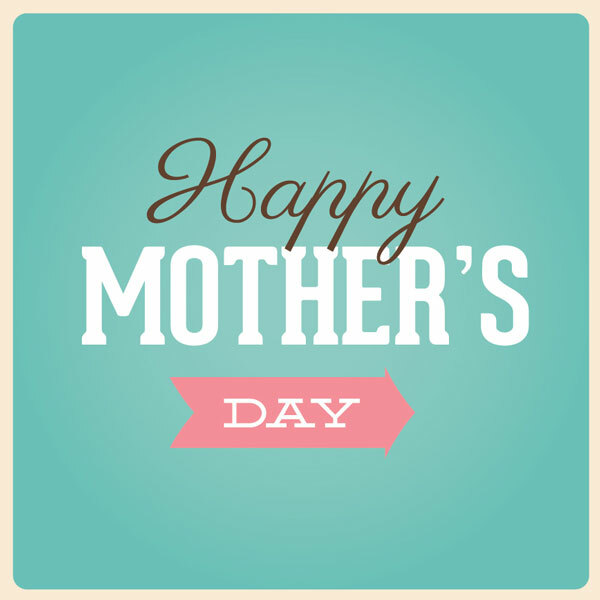 Moms, we are eternally grateful for you. The burden you bear is much more than just nine months. It’s a lifetime of love. It’s also a lifetime of worrying about what time we will get home, about who we are with, about how others treat us. The burden you bear for us is never-ending. And it’s something we, as kids, can never fully repay. As your son or you daughter all we can give you in return is our love. But we know that for you, that’s enough. Actually, we can also say thank you. And that’s what this is day is all about. So here it is. To all the moms… THANK YOU. YOU ARE THE BEST!